December 12, 2016 By Liz 26 Comments Note: This post may contain affiliate links. I don’t know what kind of magic I stumbled into yesterday but I found fresh blackberries at the grocery store for $1 per 1/2 pint. WHAT. Obviously, I had to stock up and I found myself with heaps of blackberries in the kitchen. This is a lovely problem to have because I’m pretty sure I could eat a few pounds of blackberries on my own without a problem. But instead of just stuffing my cheeks full of berries, I decided to try a little twist on toast. 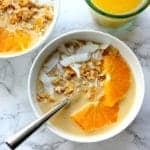 Lately, I’ve been switching up my breakfast and deviating from my usual yogurt parfaits and smoothie bowls. So here’s what I made yesterday. 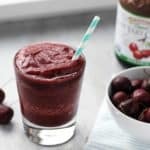 It’s so simple you barely need a recipe but here you go! 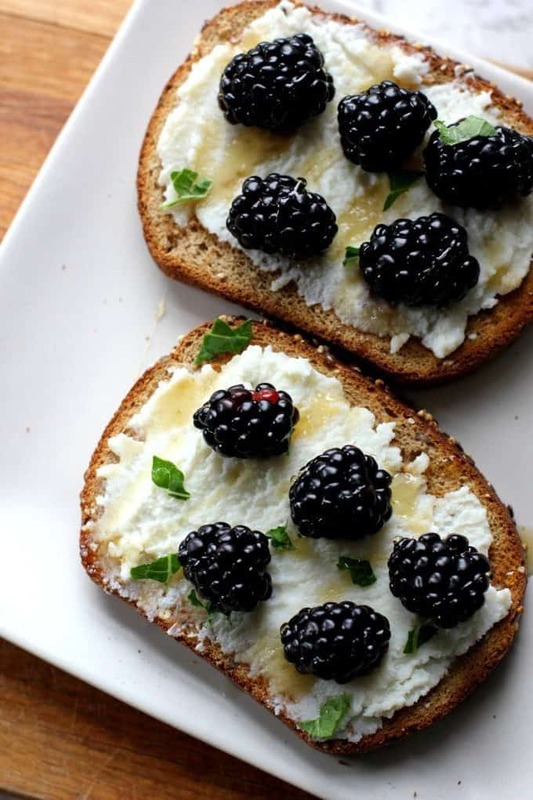 Then simply spread the ricotta, top with blackberries, drizzle with honey, and add a little basil or mint if you like. In the mood for more toast? 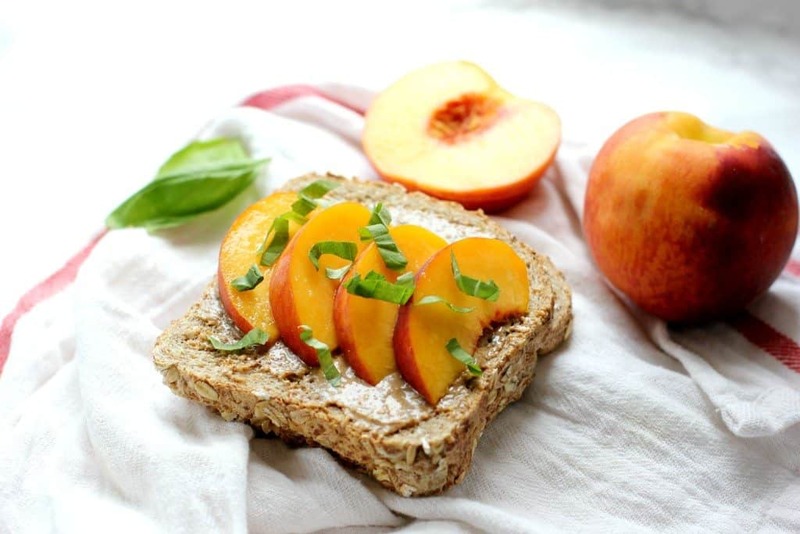 Try this almond butter and peach combo! Next up on my list of things to do with these blackberries? Single serving cheesecake. Wish me luck! What’s your favorite thing to do with blackberries? Whaaa? How’d you find blackberries in December for that price? Nicely done, this looks so delicious! Sometimes the simplest things are the best, aren’t they? I’ve already had two breakfasts this morning (whoops! haha), but I’ll keep this one in mind for if I ever get as lucky as you! I have NO idea how they were so cheap!!! Ricotta is such a soft beautiful cheese. And those blackberries on top are just perfect. Delicious! I love ricotta and need more of it in my life! Sometimes the simple combinations are the best because you can really taste all of the individual flavours. Blackberries aren’t my favourite kind to eat as is but we usually have blackberry apple crumbles during berry season using the berries growing in our back yard and it’s delicious. Ohhh blackberry Apple crumbles sound awesome!! Yum! yum! 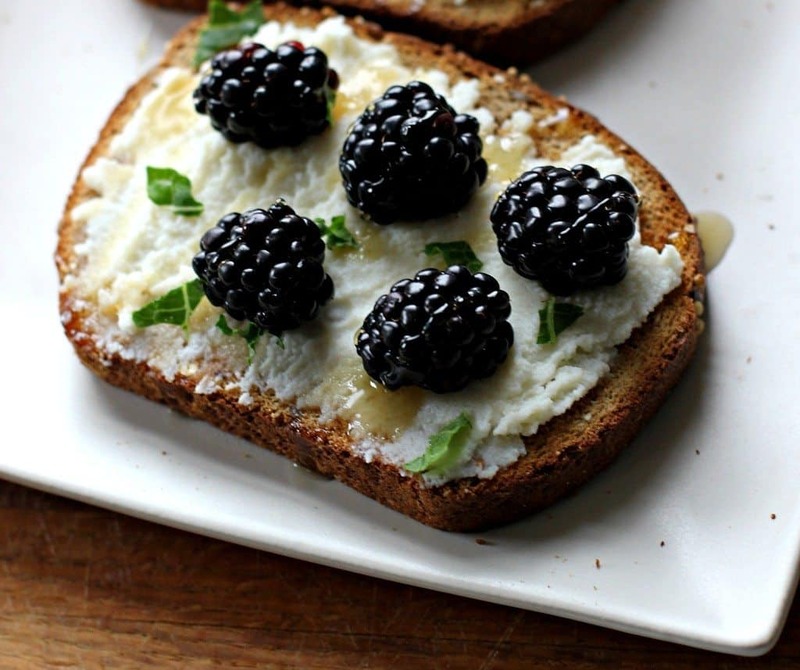 I would so do this on a piece of my Ezekiel bread and maybe try it out with cottage cheese instead of ricotta! Ohh I bet that would be really good!! 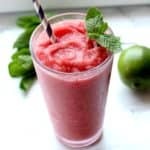 This looks so good and I love the flavor combination! It’s been so long since I’ve had blackberries and ricotta cutting out dairy but as soon as I get my hands on my favorite almond milk ricotta (out of stock everywhere) I’m making this! I love putting blackberries in my yougrt parfaits, or making a jam!! This looks great though!!! wow that is quite a steal of a price! Anytime berries are on sale when its colder out, you gotta stock up! This looks like a yummy combo! I love having blackberries with oats and dark chocolate…so good! I made a recipe a while ago that was dessert oats with blackberries and chocolate and i made them in to a muffins…so good! Wow. These look delicious! Would make a great appetizer. Fruity toasts are my favourite!! Such a great breakfast or snack. 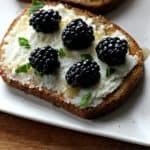 Love the blackberry and ricotta combo here!! I love this combination! Something about the sweetness of the berries and the saltiness of the cheese is just perfection! Blackberries are one of my favorites and can easily pop a few pounds in my mouth, too! Never had them on toast though. Something new to try! Wow this sounds like such a decadent and delicious combination. I think I’m going to try it. Blackberries are one of my favorites! I also love toast when it gets cold — such a good comfort food! I love ricotta on toast. I usually eat it with blueberries and strawberries. You had me at ricotta! I love using it for a toast topping too! So creamy. What a lovely idea for serving blackberries! I would love to make a vegan version of it with homeade vegan ricotta and maple syrup. Thank you for the inspiration! What a lovely idea for serving blackberries! I would love to make a vegan version of it with homemade vegan ricotta and maple syrup. Thank you for the inspiration!